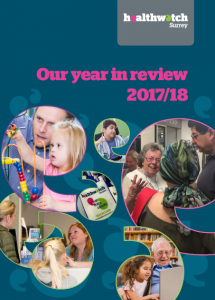 We are delighted to share Healthwatch Surrey’s Annual Review 2017/18. A summary report will be published shortly. If you would like a copy of the summary or the report in an alternative format please contact us.